Today is a day of remembrance in the United States – a holiday honoring the men and women who have fallen in our country's armed forces. I am having my own private and personal day of remembrance for a very recent loss, and want to channel my emotions into something positive and beautiful, if even for a moment. So I've decided to preserve the memory of receiving this lovely sympathy bouquet in honor of my father by drying and pressing these heavenly blossoms. If you'd like to do the same, follow these easy steps, and you can preserve your floral memories, too. Select clean, blemish-free, flowers. If they are wet or moist, allow them to dry before pressing them. 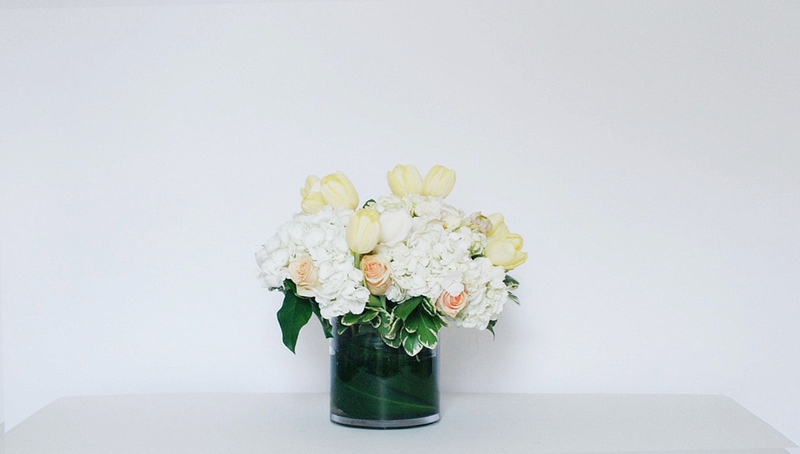 Trim your flowers of any torn, discolored petals and long stems. Open your book, and line both sides with appropriately sized pieces of parchment paper. Close the book and either weigh it down with a brick, or under any other heavy amount of weight. I put mine under a large pile of old college textbooks. Leave the book untouched for a minimum of 2-3 weeks. After the drying period has concluded, you can check to make sure your flowers are completely dry. Open the book slowly, and gently open the paper and remove the flowers with tweezers transferring them to safe place for remembrance or for viewing, like in a picture frame. Or you can get creative and crafty, decorating cards, invitations or coasters with them for a personal touch. I haven't decided what I'm going to do with these pressed flowers yet. I have a feeling I'll know just what to do with them when the time comes.